The RBS Triton 150, current stock of equipment held by Western Canada Spill Response Corp for the West Coast, is used in coastal water. This equipment is made by Aqua-Guard Spill Response, a company that recently signed a deal with Transport Canada to supply the country's coasts. (Aqua-Guard Spill Response photo). With an increase in tanker traffic along B.C.’s coast on the horizon, two First Nations far north of Nuu-chah-nulth territory are the first communities selected for an enhanced vessel monitoring program. On March 13 Canada’s Minster of Transportation Marc Garneau announced that the Haida Nation and the Gitga’at Nation will begin the Marine Situational Awareness initiative this fall. The new program is being launched under Canada’s $1.5-billion Oceans Protection Plan, and the one-year pilot project is set to test an information system providing real-time data on nearby vessel traffic. 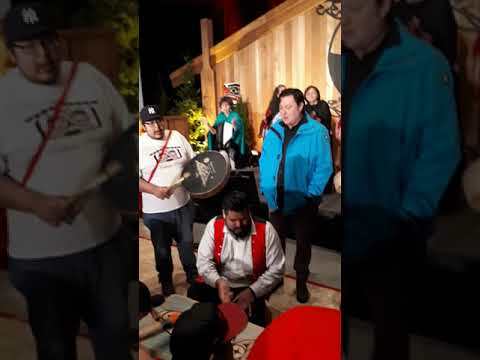 In an email to the Ha-Shilth-Sa, Transport Canada said that these two nations were chosen through a collaborative process with First Nations along B.C.’s central and northern coast that volunteered to be considered for the project. Up to nine communities on Canada’s three coasts are expected to be named for the five-year, $62.5-million initiative. Transport Canada would not confirm if any Nuu-chah-nulth nations are being considered for the marine awareness project. “The traditional knowledge and expertise we are gaining from Canada’s Indigenous Peoples and coastal communities is a critical element to safeguarding Canada’s waters, and the Enhanced Marine Situational Awareness project is an excellent example of these partnerships at work,” said Garneau in a statement. “Being able to contribute to and have access to other sources of this critical information will serve to enhance prevention measures and improve response capacity in the event of a marine emergency in local waterways,” stated Roger Sterritt, manager of the Gitga’at Nation’s Emergency Response Team. The pilot program also includes measures to decrease underwater noise affecting Southern Resident killer wales, an endangered species under Canadian law that has consistently declined since the 1990s to a population of 76. The federal government’s 2018 budget has allocated $167 million to further understand what puts whales at risk, including the Southern resident population that passes by Vancouver Island’s coast. Changes in marine traffic are expected for B.C.’s southern coast, where the expansion of the Trans Mountain pipeline is planned to increase oil tanker traffic from Burnaby’s terminals from the current five vessels a month to 34. Kinder Morgan’s route maps show this traffic passing along the southwest coast of Vancouver Island. The energy company has begun construction to increase the pipeline’s capacity from 300,000 to 890,000 barrels of petroleum product a day. Garneau’s March 13 announcement also included news of a $1.2-milion contract Transport Canada signed with Aqua-Guard Spill Response, a North Vancouver-based company specializing in equipment that can remove fuel from water. The first stage of the contract sends 23 oil skimming systems to regional locations in Richmond, Victoria, Mount Pearl in Newfoundland and Dartmouth in Nova Scotia. “The system offers extremely high oil recovery rates with up to 98 per cent efficiency and is able to respond to most oil spill needs,” stated Aqua-Guard on its website. The provincial government lists reported fuel spills and the recovery efforts that followed. In 2018 there has been one documented incident in B.C.’s coastal waters with an oil sheen from an undetermined source discovered in Vancouver’s English Bay on March 12. In 2017 the province listed four fuel spills affecting coastal waters, the largest documented volume being 500-600 litres of diesel that leaked into Echo Bay on B.C’s central coast on March 26. The RBS 60 T package, a typical configuration of booms and skimmers displayed by Aqua-Guard for responding to an oil spill.